This giveaway is now CLOSED. Thanks so much to our wonderful sponsor Naturalizer Shoes! We look forward to working with you again! The winner is Angela H. Remember: There are great giveaways active on the upper right hand side of the page! I had the chance to visit with Naturalizer and their designer Angelique and learn all about the new fall styles that Naturalizer had to offer, and I was thoroughly impressed at how much more fashion forward Naturalizer Shoes have become WITHOUT sacrificing the comfort, and variety of wide width AND wide shaft boots that most of us have come to know and love. With color-blocking options and higher heels, they set out to prove you can really have your cake and eat it too when it comes to functional footwear that does not sacrifice one bit on style! These boots with the feminine back lace up detail are the absolute perfect height to make them both fashionable yet extremely comfortable for all day wear! I took them in both the wide width and wide shaft option as I have wide calves and these fit PERFECTLY! They are true to size (no need to size up) and do really go over wide calves! I'm a long time Naturalizer lover and used to work very close to the location that this event was held, so I would visit that particular store often. These boots match perfectly with my new black leather jacket from Wilsons Leather! These boots pair just as well with skinny jeans as they do with skirts and dresses. They are not so high you feel like you are teetering, and they are not so low that they are overly casual. You didn't think I'd forget about you right? Who loves you butterfly? Don't you just ♥ Naturalizer? I know I do! Ƹ̵̡Ӝ̵̨̄Ʒ - In honor of all things shoes, tell me which shoe (current or former) is your all time favorite shoe and why? Ƹ̵̡Ӝ̵̨̄Ʒ - Grab our NEW Button and put it on your Blog. Leave the URL where we can see it in a comment (if you have our old one, please swap it out, our URL address has changed! Ƹ̵̡Ӝ̵̨̄Ʒ - Like Naturalizer on Facebook HERE (Tell them which item you are trying to win on Ascending Butterfly) - Be sure you leave the link to your comment here for extra credit. (You can get the link the same way you do on twitter, press on the time you left the comment, and when the page fully loads, highlight and copy the URL address and then paste it into the comment field here). Ƹ̵̡Ӝ̵̨̄Ʒ - Vote for Ascending Butterfly on: Fuel My Blog -This is ONE time per giveaway, NOT daily. 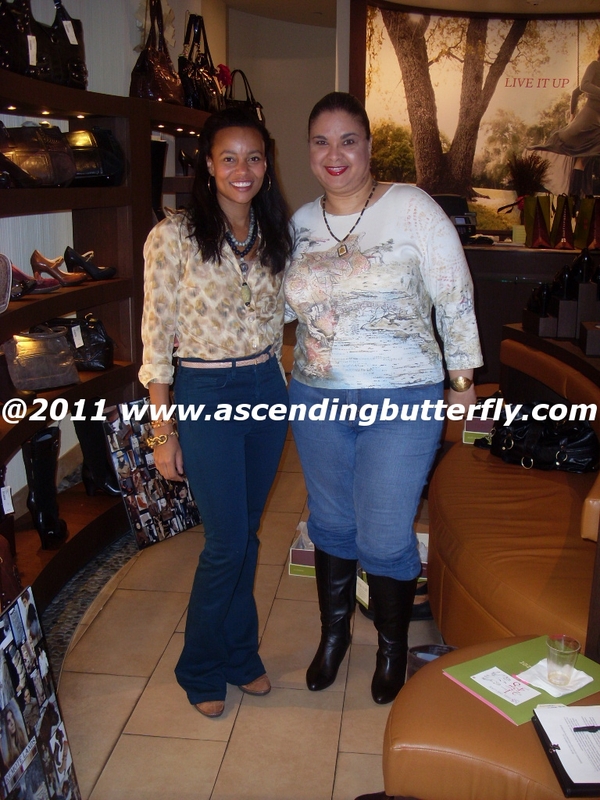 Ƹ̵̡Ӝ̵̨̄Ʒ - Have you entered another active giveaway on Ascending Butterfly? Let me know which one and you’ll get more extra credit! Ƹ̵̡Ӝ̵̨̄Ʒ - Have you commented on a non-giveaway entry? Let me know which one here and you’ll get more extra credit! FTC Disclosure Info for this Giveaway: The Dinka Boots were provided for review free of charge. No monetary compensation has been received. The sponsors are fulfilling directly to prize winner(s), this in no way influenced my opinion of the products. All opinions expressed in this review are 100% my own. Once a winner is selected and their information has been forwarded to the sponsor, the responsibility of prize fulfillment rests with the sponsor. Not real classy but I have a pair of Fav. crocs that I wish I could wear to church! I have a pair of Grasshoppers shoes and so far they're my favorite. They fit perfectly and they last long. They're also the softest sole I've ever tried! I follow you on GFC (Tina12312) grdnldy710 AT aol DOT com and I love their Yadira in black suede http://www.naturalizer.com/en-US/Product/EC0225778-3007941/Naturalizer/Black+Suede/Yadira.aspx Gorgeous! Thank you! I'd have to say that my Nine West black pumps are my favorite shoe because they are so comfortable and go with everything. wedges are my favorite shoes of all time. they can't be too tall or else i can't walk! (2) My favorite shoe is the Mariana flats. My favorite type of shoe is Nike dunks - they come in so many different colors, are super comfortable and casual! I follow you on GFC (sebsmom9, photoma739 at google dot com) and could use these basic black leather pumps: http://www.naturalizer.com/en-US/Product/EC0200007-3008821/Naturalizer/Black+Leather/Deino.aspx. My favorite shoes are New Balance because I have bad feet, and wide feet, and it is so hard to find wide shoes. Naturalizer, fortunately, do come in wide so if I win they will fit me. I'm a GFC follower and I like the Ryann Brown shoes, http://www.naturalizer.com/en-US/Product/EC0203050-3009005/Naturalizer/Brown/Ryann.aspx. My all time favorite shoes are my Born clogs because they are exceptionally comfortable! Joined Ascending Butterfly's NEW Community/Real Time Chat Group - tinagirl is my username. My favorite would be sneakers since I wear them everyday now. I follow Ascending1 on Twitter. I follow Naturalizer Shoe on Twitter. You successfully fueled the following blog: http://ascendingbutterfly.blogspot.com. I have a beautiful pair of 4" red stilettos that have become my signature. They take a plain dress and turn it into something magical! I follow with GFC, SelindaM. I love the http://www.naturalizer.com/en-US/Product/EC0210092-3009389/Naturalizer/Black/Ames.aspx. My favorite shoe is a high heeled strappy sandal that I absolutely love and got for 75% off! I follow Tracy_Iglesias on twitter, SelindaMcCumber. I follow Ascending1 on twitter, SelindaMcCumber. I follow NaturalizerShoe on twitter, SelindaMcCumber. My all-time favorite shoes were the wine colored pumps I had and wore to death. They were comfortable and seemed to go with so many things. My favorite show would have to be my Sketchers Slipper shoes. They are outside shoes. :) I love those things. So comfortable. These boots are super cute! I live in Florida and think "CARMEN" style is purrfect. With a chill in the air and dry climate during the winter the suede would really work. I would love to rock this Naturalizer style "naturally" !! My all time favorite shoe is suede clog style slip on boot! I love the deep brown color and the comfort of the suede. The make any pair of jeans look hot! Would love to replace with the Carmen because they are wearing out! right now my favorite shoe is a pair of high heel michael kors clogs i have, beautiful leather with nice detailing. I like Naturalizero on FB and commented w/ my fave style! I am following via GFC as Nancy. I like the black suede valour boots. I am already following Tracy_Iglesias on Twitter as njhhb. I am already following Ascending1 on Twitter as njhhb. 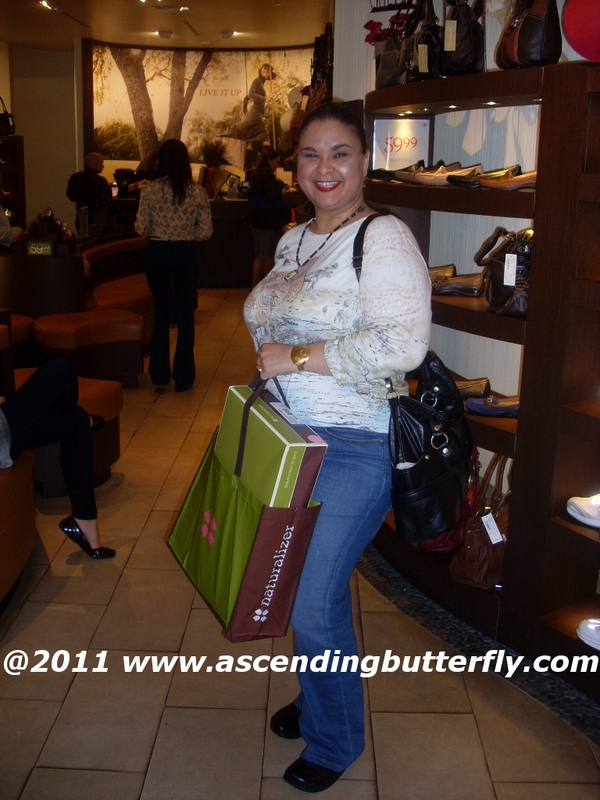 I like Ascending Butterfly on Facebook as Nancy H.
I like naturalizer on Facebook as Nancy H.
I entered the Wilsons Leather giveaway. My all time fav pair of shoes is Chuck Taylors. I think nothing looks cuter on a little girl than a pair of chucks.